After waiting too long (6 months) to get my hair highlighted, I had it foiled. I sat there and let my hairdresser pull the color all the way through to the ends of my hair without saying a word. I knew it was wrong, and that I should have stopped her on the first foil and said, "Hey, hey, hey! New growth only, please." But I was listening to her telling a story and didn't think the damage would be that bad. After all, she was skipping every other section and I wasn't getting the underneath done. Fast forward to two days later and my hair was breaking off. And we are not just talking split ends here. We are talking all the way up my hair shaft to the 3 inches of healthy single-processed root growth. The back of my hair that was all one length suddenly looked shattered. I was mortified. I had just cut 3 inches off of my hair's length the week before to get it healthier and I didn't really want to cut it again. So, I did some hot oil treatments, used a Roux Moisture Recovery packet (and curses Roux and Sally's Beauty Supply for discontinuing them as my stash will be depleted soon), bought the Aphogee leave-in protein spray, and tried to nurse the hair that had been overprocessed to the point of being straw back to health. It's hard to let go, when only half of your hair is this texture. Even though logically I knew that cutting it was the only way to end my distress and stop spending my evenings with the scissors trimming the hairs one by one when I saw breakage. Then, a friend told me about MoroccanOil. She said MO could also be called "miracle oil" and it was the only thing that was allowing her to grow her thin, fine hair past her shoulders. At $40 a bottle, I asked a few more people if they had heard of it and the ones that had tried it all considered it their holy grail. They assured me that although it seemed pricey, you just apply it to the ends of your hair when it is damp and then heat style as usual, so you don't use as much as you would for a hot oil treatment and the bottle lasts a really long time. So, I did some research and decided to give it a try. Yes, the main ingredient is a silicone and not the mystical Argan oil that it is named after, but you know what? I don't care. My hair is damaged and if a ‘cone or three is going to help refine the texture and protect it, then so be it! I found the best deal to be at haircarediscounters.com (and it was a bonus that they also sell OPI nail polish and sent a free brush with the order). Within a week, I had obtained this precious oil that actually looked more like a bottle of cough syrup. I flattened my palm, inverted the bottle, turned it right side up again just leaving a trace amount the size of the bottle opening in my hand. And it was really oily, so I was suddenly scared to use it. I rubbed it between my palms and it spread out to the consistency of cuticle oil. I was unsure about it, but I started smoothing it on my damp hair--avoiding the roots and focusing on the ends. I blow dried my hair, and was amazed at the silkiness I felt. It had transformed my distressed hair into a soft and silky state again. Then, I took a large barrel curling iron and smoothed out the ends to curl them under and was amazed. Some how the heat sets the MoroccanOil and it makes it thinker and shinier while still feeling clean and soft. It does not seem like a typical leave-in treatment. All I can say is you need to try it for yourself. I even love the slight musk scent it provides. And in the end, I decided that I could not be so dependent on this forgeign oil, and I had my hair cut again. I got a shoulder length shag cut, and my hair is healthy and the layers were just the trick to get rid of the damage and actually make my hair feel thicker. I’m pleased to report that the MoroccanOil works just as well on my healthy hair as it did on the damaged hair. So, I am sticking with it even though I no long *need* it. If you suffer from overprocessing, frizzies from humidity, or are just looking for a leave-in treatment to keep your silky hair smooth, give this a try! It is actually worth the retail price of $40. Disclaimer: This product was purchased by Melanie Parker. It's great for hair but the hydrating mask is good for color treated hair. I'm platinum blonde and needed the moisture more than anything else. I am totally addicted to the whole Moroccan Oil line. The hair mask is a great once a week treatment and the classic Moroccan Oil leave-in treatment is truly the best! PLUS you get free shipping if you spend 50 bucks and you get a free PureOlogy hairbrush with every order. Sorry for the website plug - but I love this product AND I love saving money - thought you would too. i LOVE moroccan oil!! i've been using the restorative hair mask from them and absolutely love it... i have yet to try out the leave in treatment but i'm sure that its nothing less than fabulous! i too love the smell and that's honestly what caught my attention in the first place. how great that it actually does something good for your hair as well! ;) anyway, i'm sorry about your hair crisis! trust me i've had plenty of those... but don't worry... it always grows back! I bought this based on all the rave reviews I'd been seeing on beauty blogs. Unfortunately, this really didn't do anything more for my hair than any other silicone drugstore serum I've purchased (Paul Mitchell Skinny Serum, John Freida, etc). So sad. I use a blow dryer and flat iron daily too. I'm almost completely finished the bottle, and I never had an "awesome, my hair looks so much better!" moment like I had hoped. Le sigh. 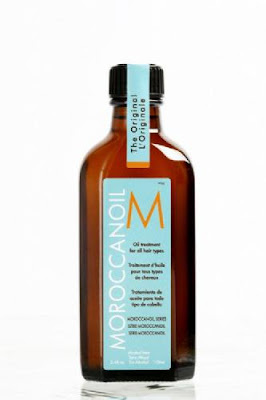 I have never heard of Moroccon Oil before but it does sound very similiar to Marrakesh Oil. My hairdresser gave me a sample of it for when I iron my hair and it really does help. I heard Sally Beauty Supply is going to start selling Argan Oil in October. It'll be the same as Moroccan Oil, only much cheaper! Here is the real thing-Argan Oil from Morocco and no silicone. Not sure how well this works but am willing to try it having been to Morocco! The link is the real thing!!! I've had some problem with my hair too, and was directed to Moroccan Oil, but after research i found out that the many ingredients in that product were unhealthy. Many girls ended up getting a rash or waking up with pimples all over their face. So i tried Pure Argan Oil, and i was hooked, my hair was amazing, very smooth and silky. This is the real thing not MO who says it's argan oil but probably uses less than a 5% of AO in their product. I used Jebel Pure Argan Oil, it's the best on the market. I use it for my skin too, and the results are just unbelievable. It's organic and hand-pressed.